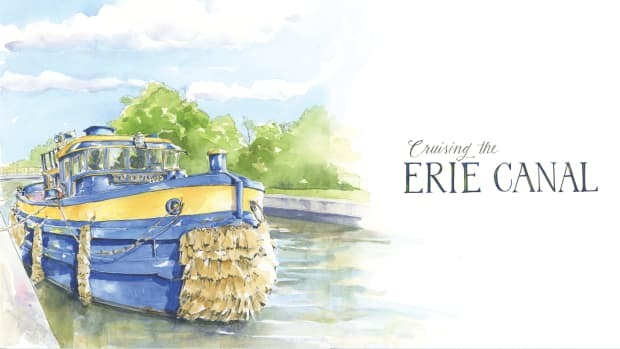 To some, the term “Down East” means “blue water,” but the Down East Circle Route is in no way a bluewater trip. 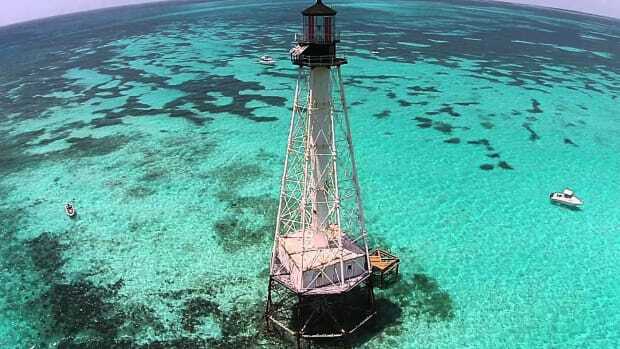 Land is always in sight and you’ll never be more than a half day from the nearest port or anchorage. 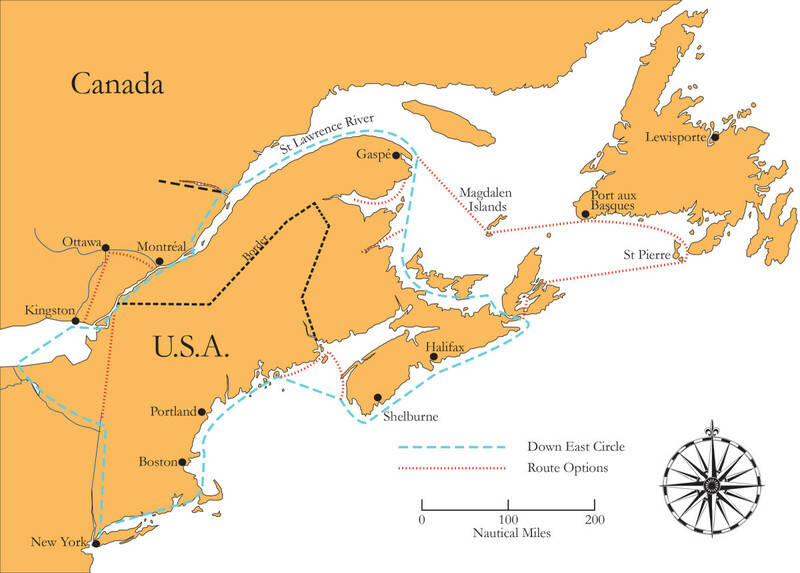 The 2,400-nautical-mile route loops around New England and among the islands of the Canadian Maritimes, reaching its northernmost point, the Gaspé Peninsula, at nearly 50 degrees latitude. Despite this reach into the higher latitudes, the loop is quite manageable. All you need is a sound vessel with a reliable engine that can do at least 6 knots so you can complete the cruise in a single summer. Extended daylight allows after-supper sightseeing at the higher latitudes, and while you will experience chillier waters (around 45 degrees Fahrenheit) and lower air temperatures (55 to 65 degrees) at the northern end of the loop, it won’t stay cold for long. 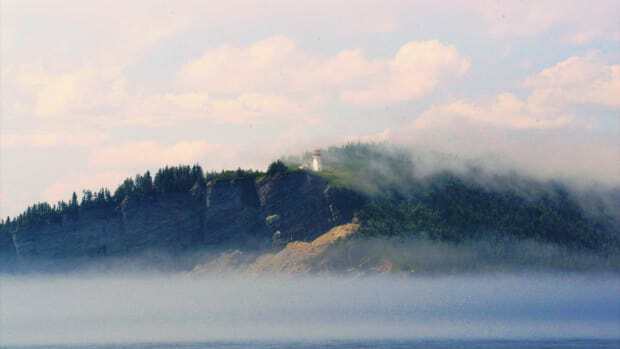 After rounding the Gaspé Peninsula (pictured at top), the route passes into Northumberland Strait, which actually boasts the warmest saltwater north of Virginia (averaging 73 degrees). 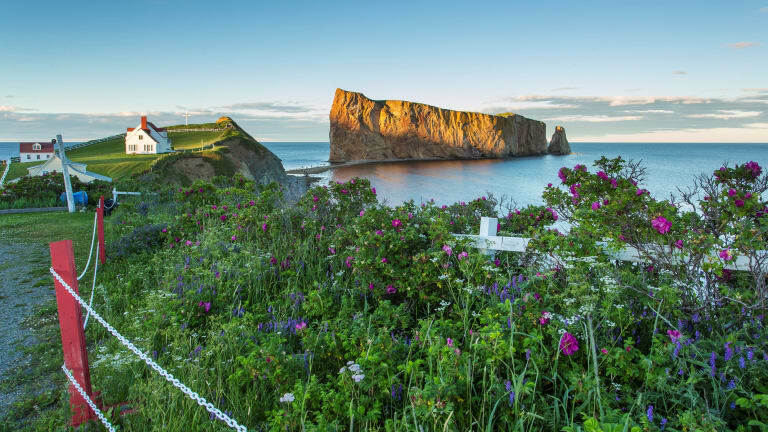 The sandy shores of New Brunswick, Prince Edward Island and Nova Scotia along the strait are the delight of beachgoers, and the red bluffs and rolling hills provide just the right environment for Nova Scotia’s burgeoning wine industry. 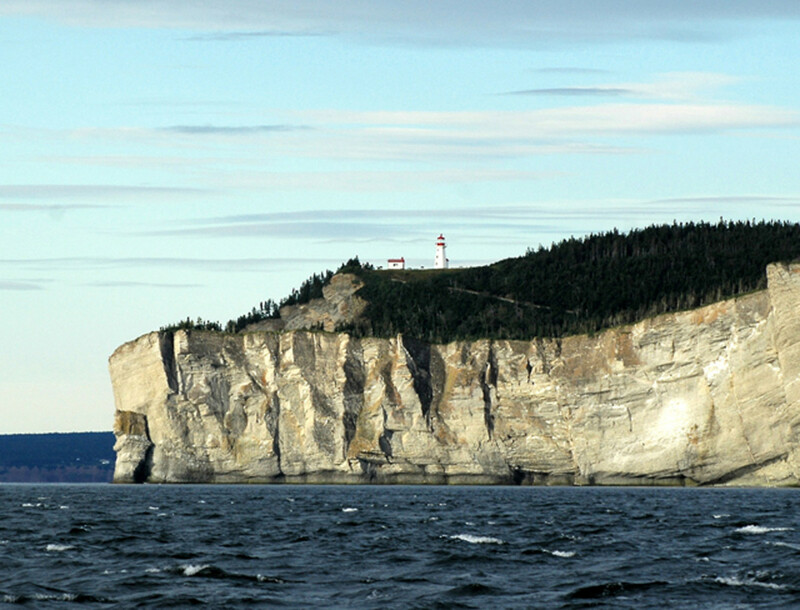 Sea cliffs dominate the Gaspé Peninsula along the south shore’s easternmost point on the Saint Lawrence River. This is not to say that the Down East Circle Route is not without its challenges. The Bay of Fundy and Gulf of Maine have a reputation for being difficult cruising grounds, with big tides and cold, foggy conditions. So plan to be on Nova Scotia’s Atlantic coast by mid to late August and cross the Gulf of Maine in late September when the foggy days are greatly reduced. While most cruisers typically opt to cross the Gulf of Maine overnight, you might consider day-hopping around the Bay of Fundy and entering the U.S. from New Brunswick. 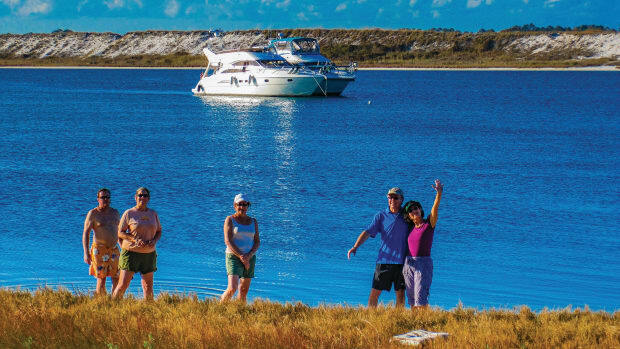 Marine facilities are readily available along the route and well-developed infrastructure allows family and friends to join at almost any point. The entire route is well charted and easy to navigate, although the remote anchorages on Nova Scotia’s eastern shore will require some extra vigilance. In general, the recommended way to tackle the loop is clockwise. 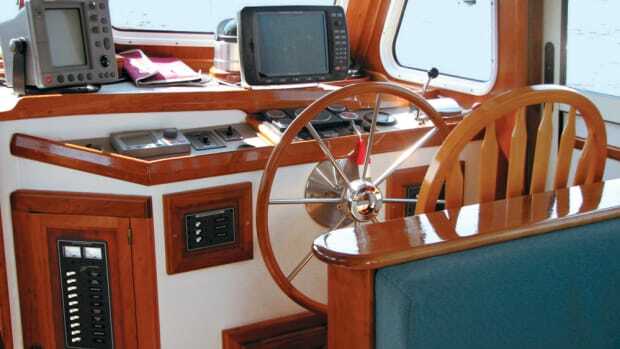 This means having the prevailing westerly breeze at your back and much of the St. Lawrence River current in your favor—no small consideration as dealing with the countercurrent can be the toughest navigational feature on the lower part of the river. Downstream of Old Québec City, the St. Lawrence is influenced by the tide, which creates a strong and often contrary current. It is, however, easy to manage provided cruisers learn to “play the current.” This means planning daily departure times to suit the tide plus calculating an arrival time at the next port. 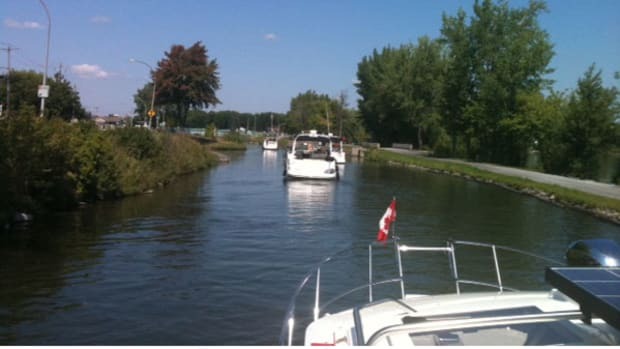 Another good reason to head clockwise around the loop is to ensure downlocking through the series of seven commercial locks on the St. Lawrence Seaway, which is especially important for boats 75 feet or under. Regardless of which direction you choose, plan time to enjoy Old Québec City. Founded by the French in 1608, it is the only walled city in Canada or the U.S., and its European roots are well preserved. Inside the walls and ramparts, ornate medieval-style churches and stone buildings topped with copper roofs and turrets line the cobbled streets and alleys. The best base for exploring is the Port of Québec Marina in Louise Basin, located in the heart of the city. 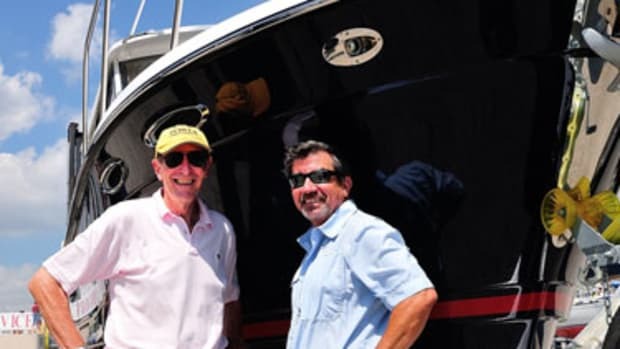 The basin is entered via a small lock that mitigates the effect of the 18-foot tide, and despite its quaint surroundings, the marina is thoroughly modern. 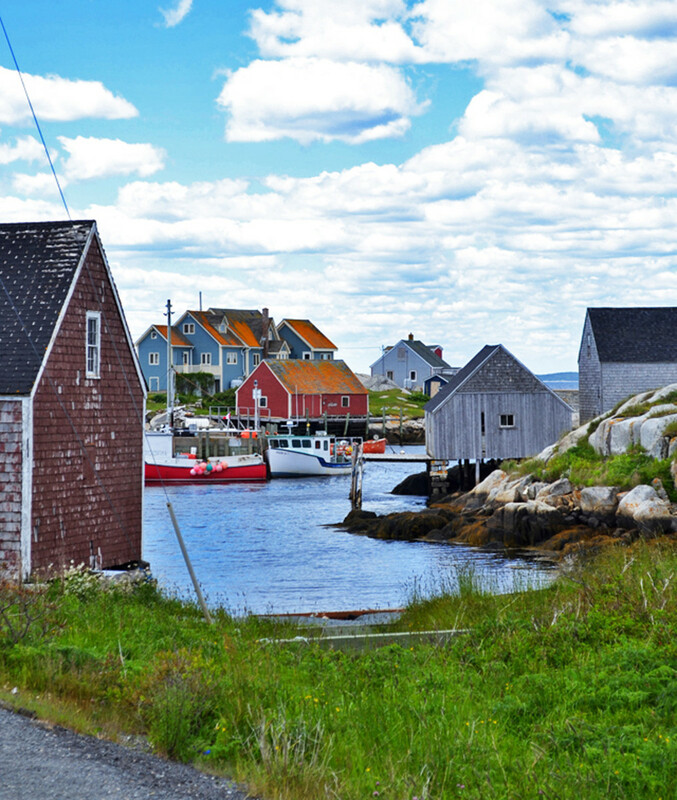 Few places on earth match the sleepy, picturesque fishing village of Peggy’s Cove in Nova Scotia, where you can slice the area’s traditional workboat influence with a butter knife. In addition to the historic sites along the route, wildlife abounds. 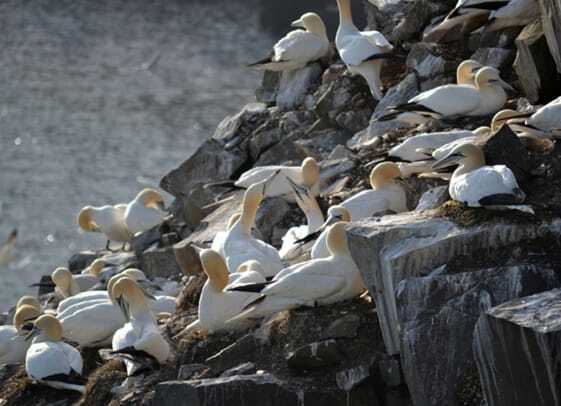 You’ll see a variety of seabirds, such as the northern gannet and the Atlantic puffin. Whale sightings are also common, and you’re likely to spot several different species along the way, including the white beluga whale. A large beluga pod is often seen at the mouth of the Saguenay River, which branches north off the St. Lawrence. Tadoussac, a quaint seaside village at the confluence of the two rivers, is also popular with land tourists who come to whale-watch from shore. Heading up the Saguenay River—a 900-foot deep fjord with walls towering over 1,500 feet—is just one of the many worthwhile side trips you can take. There is also the Rideau Canal to explore, which can take you from Kingston to Montréal via Ottawa. The Bras d’Or Lakes region, a vast area of sheltered inland water at the heart of Cape Breton Island, is another popular excursion. If you’re looking more for adventure, consider a “jump” across Cabot Strait (65 nautical miles) to cruise Newfoundland’s southern fjord coast. Cheryl Barr has an RYA Yachtmaster’s License and is a cruising guide author. Titles include The Down East Circle Route, The Canadian Maritimes, and Cuba Vol. 1 (Western Cuba). 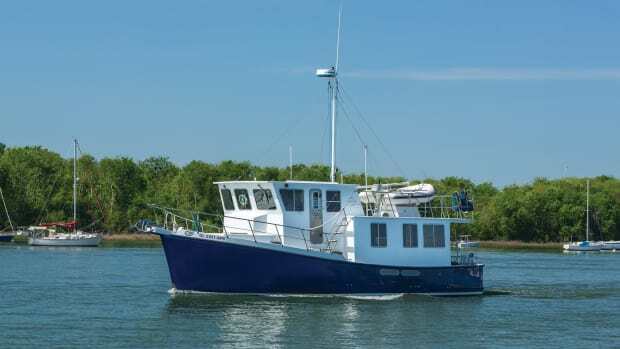 She resides in Mahone Bay, Nova Scotia.